Photo credit: the SeaWiFS Project, NASA/Goddard Space Flight Center, and ORBIMAGE. 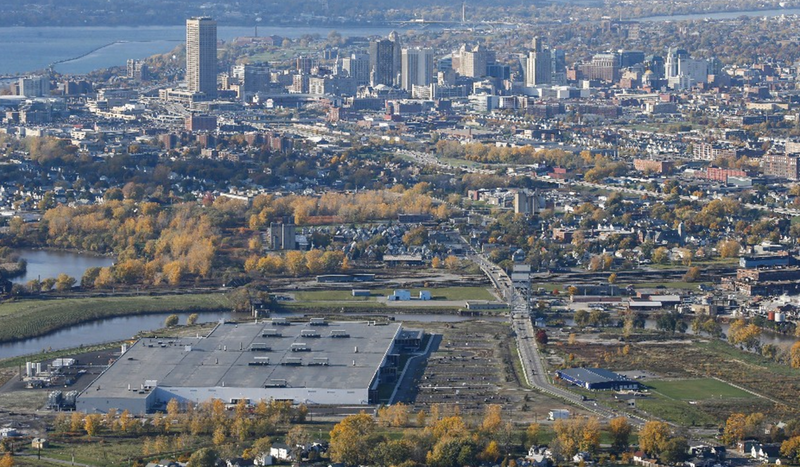 Alexandra McPherson, Principal with Niagara Share, introduces us to the Buffalo-Niagara Hub and reflects on its past, its present and its hoped-for regenerative future. Buffalo Niagara sits on the 42nd parallel, along the eastern frontier of the largest fresh watershed in the world, the Great Lakes. As we build economies that are more regenerative by design for people and our planet we have much to learn, and to draw on, from our deep roots in our bioregion. The Haudenosaunee, commonly known as the Iroquois Confederacy—the people of the six nations— were the first stewards of the land in our region. Their Law of Regeneration and call in 1992 to delegates at United Nations General Assembly to “make every decision on behalf of the seventh generation to come” was a response to our collective experience with an extractive economy. 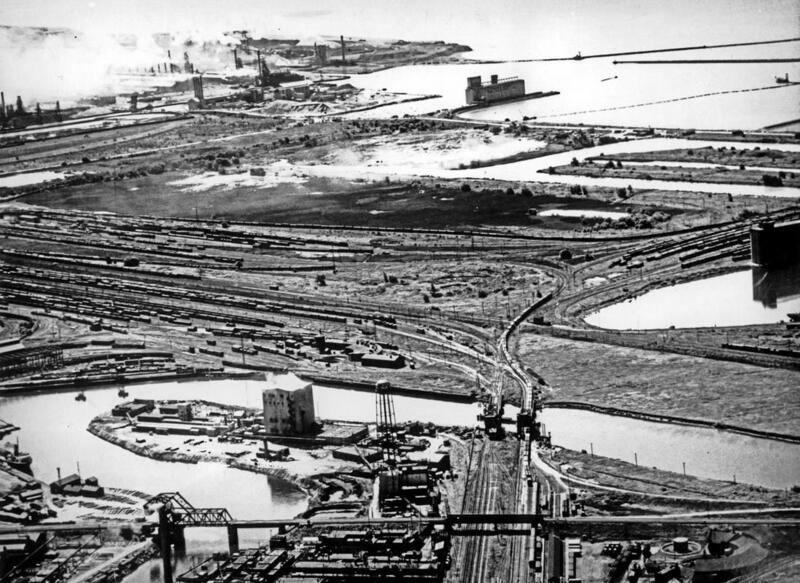 For decades factories nestled in our neighborhoods and along our shorelines created a skilled labor force and lifted many into the middle class. At the same time, they fueled a consumerist economy, and our insatiable appetite for energy and materials. When industry left the region, it left in its wake degraded natural resources and impoverished communities, the legacy of our linear economy. ​New ideas and ways to re-imagine industry have since emerged out of the tireless and ongoing efforts of labor unions, Native American leaders, environmental and social justice organizations, businesses, and governments who are working to reduce pollution, waste, and hazardous chemicals under the goals set in the Great Lakes Water Quality Agreement. This Agreement represents one of the world’s most far-reaching efforts to restore the health and vitality of a biosphere that supports our communities, our ecologies, and our lives here in Buffalo Niagara. If the Great Lakes were a country it would represent the third largest economy in the world. We know factories must continue to play a critical anchor role in our communities, building a new highly skilled labor force for the twenty first century and a truly living-wage economy. The new factory New York State built for clean technology and advanced manufacturing at Riverbend that sits within an iconic industrial community on the Buffalo River represents the promise of this new wave of advanced manufacturing. With solar and energy manufacturers Tesla and Panasonic as key tenants at Riverbend, we have an opportunity to envision a new model of collaboration and engagement across institutions and communities that might lead to more regenerative industrial practices that prioritize the health and well-being of our communities. ​CoRE, the Collaboratory for the Regenerative Economy, is a three-year initiative generously funded by the JPB Foundation bringing people together from across sectors to design solutions towards an end that none of us could achieve by working in silos. CoRE collaborators include Niagara Share, University at Buffalo’s Material Design and Innovation Department (MDI), and Clean Production Action who are together working to advance a new framework and learning platform for the factory of the future. With the WNY Environmental Alliance and Blue Sky Design, we are modeling a process of engagement with people, organizations, and companies that is iterative and can adapt to new science, evolving social and environmental conditions, community impact, and the needs of the local and global economy. This work will define new types of leadership in the industrial space. Our ability to move to a regenerative economy that continuously circulates material, knowledge, and resources while promoting community health and well-being will be tied to a decarbonized energy network. ​CoRE recognizes the important role that the solar industry will play in building a clean and more equitable energy economy and in abating climate change. In Buffalo, the application of solar panels is already contributing to urban regeneration in PUSH Buffalo’s green development zone, and is a large component of University at Buffalo’s efforts to localize our renewable energy economy and contribute to economic vitality in distressed neighborhoods in our urban core. Our solar push is also contributing to New York State’s commitment to a low carbon economy. However, we are aware that most of the panels installed in Buffalo to fuel our clean energy vision are currently sourced from Asia, where industrial production is loosely regulated and responsible for widespread pollution and contamination. Worker health and safety is not prioritized, and some of the chemicals and materials used in solar panel production are neither sustainably sourced nor safe. Tesla and Panasonic’s solar panel production facilities at Riverbend represent two of only a handful of solar production facilities in the United States. These facilities will provide us with an opportunity to re-think our factory of the future, and enable us to envision how communities can play a role in shaping innovation that drives a more regenerative and restorative economy for all by design. ​The global hub provides CoRE with a platform to cross pollinate ideas, share knowledge, and explore new frontiers of economic development with leaders from around world, all working towards a vision that supports life.